In this tutorial I will show you how to disassemble and replace a broken LCD screen on Samsung NP-N110, N120, N130, N140, N145, N150, N210, N220, N230, N310 Netebooks. These Samsung netbook series come with 10.1 inch widescreens. Your Samsung laptop may may have some extra letters and numbers after it e.g. KA01UK, KA02UK, KA03UK, KA04UK, KA05UK etc. Note that the numbers will not affect the screen type in the laptop as they all come with the same type. The Samsung NP series netbook usually comes with screen part numbers LTN101NT02 (Samsung Make), LTN101NT06 (Samsung Make), LP101WSA (LG Philips Make), N101L6-L02 (Made by Chi Mei), N101L6-L01 Rev C1 and C2, or B101AW03 (AU Optronics Make). The very first thing is to remove the battery from the Samsung netbook before starting the replacement. Removing the battery is a good practice as failure to do so may result in the laptop malfunctioning. With a flat screwdriver remove the screwcover from the top and lower sides of the laptop bezel and keep them safely. Remove the screws holding the plastic bezel to the laptop. Put your fingers between the plastic bezel and the Samsung netbook screen and pull the bezel on all sides to release it from the catches. You can also use flat objects to successfully carry this out. This must be done carefully to avoid snapping the netbook bezel. Also do this at the lower bezel area. The Samsung NP-N110, N120, N130, N140, N145, N150, N210, N220, N230, N310 netbook bezels are very thin and fragile. So be careful when pulling. Removing the laptop bezel exposes the netbook screen itself. With the help of the image on the right remove the screws holding the screen to the laptop back cover. Disconnect the camera cable to give good room for the screen removal. Place the screen face-down on the keyboard area. At this point you will be able to see the back of the screen and its cables. Disconnect the screen cable. PLEASE NOTE THAT THE CONNECTION IS HELD DOWN WITH A CLEAR TAPE. Remove this tape first before carrying out the diconnection. Now use a presicion screwdriver to remove the side screws. Keep these screws seperately as they can be hard to find if any of them drops to the floor. At this point the netbook screen removal process is complete. To install a new screen simply carry out the process in reverse order. Good luck! Thank you for your question. 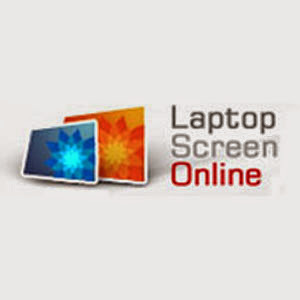 Depending on the screen you want you can find all prices at Laptop Screen Online website. I broke my bezel for my Samsung 310. How do I replace that part on its own??? For the N310 netbook you will need to get yourself the broken part and use the instruction in this blog to fit it. Does Samsung N*** have the same screen? All the Samsung Samsung NP-N110, N120, N130, N140, N145, N150, N210, N220, N230, N310 come with the same screens. The screen part numbers may be LTN101AT02 made by samsung, LP101WSA made by LG, B101AW03 made by AUO or N101L6-L02 made by Chimei. All these screens are compatible and interchangeable. You can find the numbers at the back of the screen after you have removed it from the netbook. My N120 touchpad quit. Can I replace it? I believe you can replace the screen in the same way with the instruction provided here. The screen we have used here is not a touch pad type. I suggest searching the internet for it and using the screen repair instruction to fit it. I suggest checking online for it. hi there, hope you might be able to help. the screen works on my mother's N130 netbook (not all cracked) but is displaying a 'coloured barcode' on screen after being dropped. do you have any advice on how to fix this at home rather then send it off to someone? thanks in advance! If you start seeing the lines on the screen it must be damaged. You will need to replace it with a new one. Search at the laptop screen online website for a new N130 screen and use this instruction to replace it. Good luck. Hi, the image to my screen disappears intermittently leaving just a grey screen which comes back if you adjust the angle of the screen or give it a tap (Samsung Notebook N230) so I think it is just a loose connection with the screen cable - or it may need replacing - can I buy a new screen cable? Apparently it is a common problem. I am not very 'technical' - is this something reasonably easy to do? Thank you very much for your help.